Pupil and assistant May 1794 - September 1808. No entry in the Soane office Day Book. 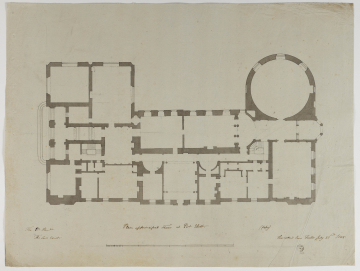 Unlike other general plans for the ground floor (drawings ,,,,[63) made in November 1804) this one shows the columned screen of the library and with the semicircular lobby.